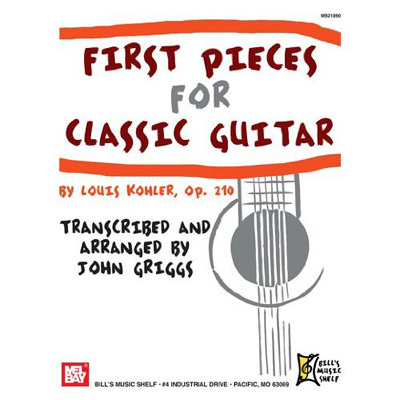 "The Opus 210, by Louis Kohler is a delightful collection of 32 pieces ranging from very easy to medium-difficult. Kohler, like many of his contemporaries, Robert Schumann, Peter Tchaikowsky, and later Claude Debussy, wrote collections of character pieces for beginning students to play. The pieces in this collection are lighthearted in spirit with simple harmonic progressions and straight- forward rhythms. They can be categorized as character pieces (short pieces with programmatic titles), which are typical of the Romantic period. Not only do the pieces provide opportunities to stimulate creativity and imagination within each individual player, they also provide excellent oportunities to build technique, musicality and rhythmic skills from the very beginning. Kohler proves that one can build technical skills and musicianship skills while at the same time enjoying the music. The pieces are not overly difficult or lengthy which adds to their charm."